Sumo Digital had perhaps the biggest E3 presence of any UK developer this year - although you might not have known it. 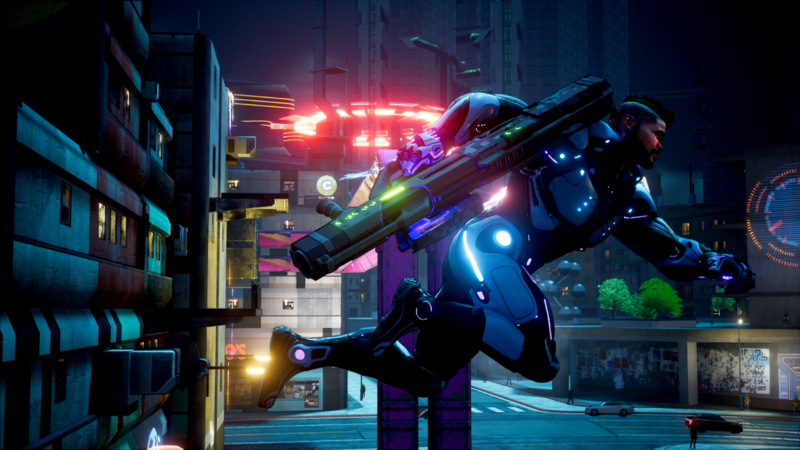 The studio's work was front and centre at the Xbox press conference in the form of the long-awaited Crackdown 3 - now confirmed for a February 2019 release. But Sumo could also be found on Sega's booth with Team Sonic Racing, and it is contributing to Warner Bros' Hitman 2, posters for which were inescapable at the Los Angeles Convention Centre. 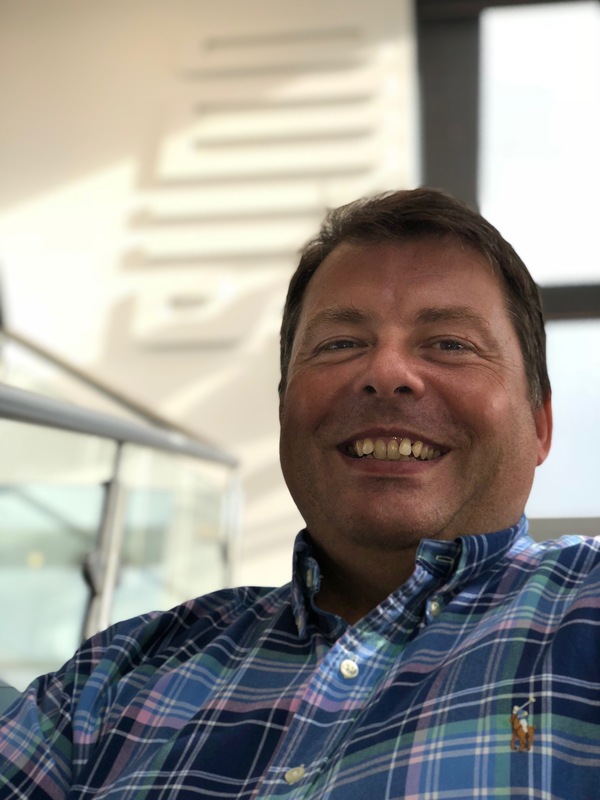 Speaking to GamesIndustry.biz at the studio's home in Sheffield, managing director Paul Porter is brimming with pride at his firm's role in bringing major AAA IP to market. "To have Sumo involved in that range of titles, leading some of those titles, is huge progress from where we started," he says, reflecting on the studio's humble origins 15 years ago. "Sumo has retained its core values of security and ensuring we're running a good business, but at the same time we've grown to have such opportunities that I never dreamt we'd be working on." Yet for all the high-profile projects Sumo works on, the studio itself often misses out on the attention. This is most especially felt with projects on which it's not the lead developer - such as Hitman 2 or its contributions to various Forza titles and DLC - but Porter assures that this is not a burning issue for the firm. "I don't think we've ever been a company that does this because we want to be in the limelight," he says. "We love the games, the opportunities, and we want to work on stuff that's people want to play, that's high quality and well received. "Yes, we've been working with Turn 10 and Playground for a long time on the Forza franchise, doing lots of stuff in the background, but we don't need to be going around shouting about it. At the end of the day, it's their IP, it's their crown jewel. They can shout about it - we're just happy to have the opportunity to work on such well-received games. "After a couple of hours of playing Crackdown 2 I wanted to throw my controller at the TV, and I was really quite sad"
"I think that's why we struggle sometimes when we are the lead developer, because we're not used to being the ones shouting about it. We're used to being the ones working quietly in the background." "Quietly in the background" fittingly describes Sumo Digital's work on Crackdown 3, arguably the most hotly anticipated of its current projects. Sumo is lead developer, and yet even as recently as last month there were reports of confusion as it was discovered Reagent Games (and with them series creator David Jones) was no longer working on the game. Jones himself even told GamesIndustry.biz that his role had been to facilitate Sumo. The UK developer has been working on the game for four years now, and while often a notable absentee from Microsoft events, Porter tells us the relative silence on Crackdown's progress is "because it's been given the time it needs and warrants to meet the expectations of that franchise." The hype for Crackdown 3 is remarkable given the mixed reception to its two predecessors. The original was boosted by offering Xbox 360 owners access to the Halo 3 multiplayer beta, but it turned out to be a game worthy of attention in its own right thanks to a free-form, sandbox structure and enjoyable co-operative multiplayer. The sequel was less well-received, as it veered away from the colourful world of the first game and crammed in too many ideas that failed to match players' expectations. Porter, an enthusiastic fan of the series, is keen not to let history repeat itself. "The way to make the best games is you finish them, then finish them again, and then finish them again. That's what we're doing with Crackdown 3"
"My experience of Crackdown is probably similar to a lot of other people's," he says. "I played the first one to death - played it in co-op, collected all the orbs. After a couple of hours of playing Crackdown 2 I wanted to throw my controller at the TV, and I was really quite sad. That's definitely not the route that's been taken with Crackdown 3." So how does he intend to stop people from throwing controllers at Sumo's take on the series? "By creating a good game," he laughs. "It's a bit of a glib answer, I'm sorry, but as you know the release date's moved back, confirmed as February next year, and that's great news because it gives us the time to polish a game that's pretty much done, but make it better and better. "The way to make the best games is you finish them, then finish them again, and then finish them again. That's what we're doing with Crackdown 3." His answer highlights something that's often misunderstood by consumers: the time between announcement and release isn't always reflective of the length of development. 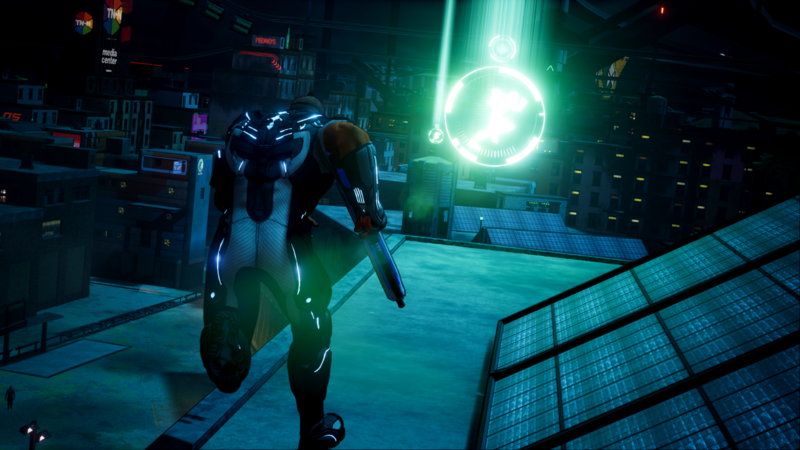 Crackdown 3 has been in development for four years, but Porter's suggestion of multiple finishes implies the team hasn't been afraid to scale back and readdress something to improve upon it. This would also explain why Dead Island 2, which Sumo Digital took over from Yager two years ago, has been kept under wraps until now - undoubtedly this is a very different project to when it first started. Such is the nature of game development, but does this have an impact on Sumo if the studio is hard at work on these announced but rarely seen AAA titles but unable to share who well work is progressing? "I'd hope it doesn't impact Sumo negatively," says Porter. "At the end of the day, we're working on huge AAA games that will be shown to people when the publisher is ready, because it's not up to Sumo when we can show or demonstrate part of the game that's being made. "We don't necessarily have Chinese walls between projects, but we do have physical ones. That's important if you want to work on people's IP"
"As always, it's quite difficult doing interviews because I'm happy to talk about what we're doing at Sumo, but so often we can't actually talk about a lot of the stuff we're doing and that is quite frustrating. But I respect that, because it's not within our remit to talk about those things because we're working in collaboration with a publisher that owns the IP. At the same time, we're really excited, knowing what's happening behind the scenes." He continues: "As a consumer, you don't care how long something's taken to make or what that journey was - you care that it's a good game, and the most important thing for me is we get to work on good games and put titles out that we're proud of, that we'd want to play ourselves." The fact we've seen so little of Crackdown 3 and Dead Island 2 - let alone the myriad other projects Sumo is working on - is a testament to the studio's ability to keep a secret. It's an essential quality for a developer entrusted with such high-profile IP, and something Sumo takes incredibly seriously. This is exemplified by the fact that teams are physically divided across multiple buildings at Sumo's Sheffield complex. In fact, the day we visit Sumo, we're told one of the buildings is off limits due to Microsoft visiting to check on Crackdown 3. "Confidentiality is really important in this industry," Porter explains. "We're being charged with working on other people's IP, and the IP is their value so we have to treat that with utmost respect - to the point where we'll put different projects in different buildings, if need be. We don't necessarily have Chinese walls between projects, but we do have physical ones. That's really important if you want to continue to work on people's IP - they want to know it's secure and safe." Maintaining relationships with multiple AAA publishers is also a delicate balancing act. With Microsoft, Warner, Sega and more currently employing Sumo's services, Porter and his teams have to be careful to avoid conflicts. This can actually limit the projects they can take on, but ultimately the MD believes in the benefits for his studio. "Working with different customers and different projects is great because sometimes you can learn different things from different people," says Porter. "Companies do different things in different ways and it's always fascinating to see that from a development perspective. "Often we have had to turn down opportunities if we're already doing something similar for someone else. The last thing we'd want to be seen to be doing is the same game for two different clients. We don't want to have any issues with our clients being embarrassed by us doing [the same thing] for two different people." One final benefit of these AAA projects - regardless of how well Sumo's contribution is highlighted - is that it helps to attract more experienced talent to join the team. This has enabled Sumo to not only be more selective in who it hires, but also more thorough in ensuring new recruits satisfy the studio's evolving needs. "Ten years ago at Sumo, we were just trying to hire smart people [across all disciplines]," says Porter. "When you're working on larger AAA games you're a lot more specific about the talents you want. So rather than a designer, do we need a narrative designer or a systems designer? We need to be a lot more specific to find the key talent for those key roles. He concludes: "The beauty of working at Sumo is we do work with many different clients, on many different diverse projects. 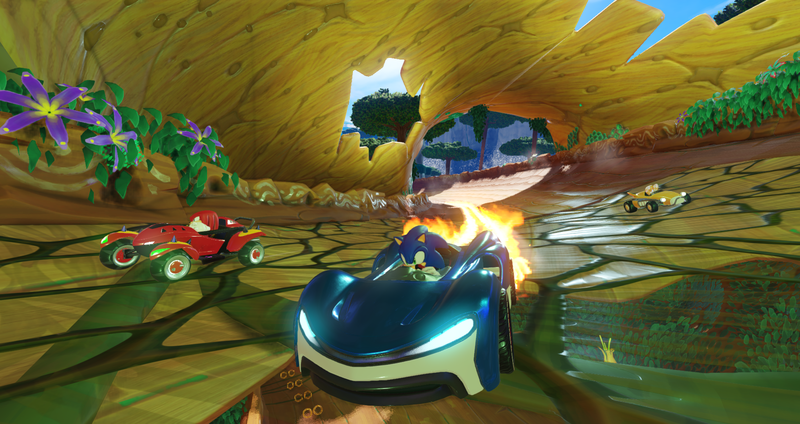 If someone wants to get into the industry and wants to work on a kart racing game, they can do that at Sumo Digital. If they want to work on a first-person shooter, or a third-person shooter, they can do that at Sumo. The diversity we have in the different games we do is what brings our value and enthusiasm."